Find the right amount of support you need to enjoy life your way with personal, nursing and memory care in Lafayette Hill. 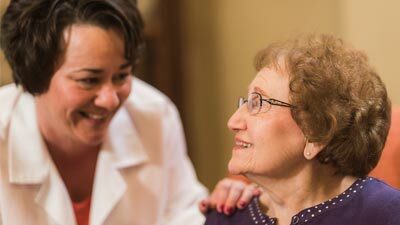 At the Masonic Village, we offer multiple levels of care based on your individualized needs. Our dedicated care team will create a customized plan that will meet your unique lifestyle. All residents also have access to on-site physical, occupational and speech therapy, which can assist with pre-surgical and post-surgical pain and recuperation, as well as improve balance, strength and memory. This service is sometimes called assisted living. Personal care suites offer the comfort and security of around-the-clock care for those who need some daily assistance. Spacious suites are available in single and double occupancy, each with a private bath and closet. Personalize your home with furniture, pictures or whatever you choose. 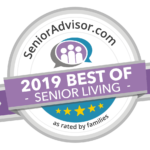 We help with daily living assistance, medication administration, meals, housekeeping services, transportation and social services, while you focus on entertainment, recreation, lifelong learning and wellness programming, spiritual services and other interests. Some may refer to this as long term care or nursing home care. Relax or engage in your favorite pastime in your beautifully furnished suite, decorated to your liking, within a friendly, warm neighborhood. 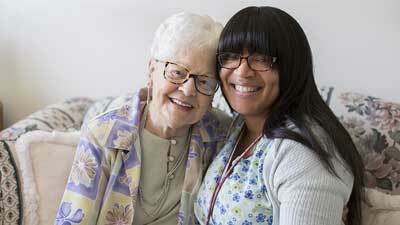 Around-the-clock nursing care offers you peace of mind so you can focus on what interests you. Daily rates includes room furnishings with television, three meals daily, housekeeping services, utilities (except phone and cable), spiritual services, entertainment, recreation and wellness opportunities. Masonic Village is Medicare- and Medicaid-approved. Loved ones with Alzheimer’s disease and other related dementias can receive individualized care in neighborhood residences tailored to maintain their dignity and quality of life within a secure environment. Specially trained staff target programs to meet the needs of each resident. The Eden Alternative® philosophy promotes active and caring environments which encourage self-worth, camaraderie and excitement for residents and employees, and you can see it in action every day at Masonic Village. As a certified Eden Alternative® community, Masonic Village is home to companion pets that bring variety and spontaneity into your daily life. Children and volunteers visit regularly, giving you the opportunity to build meaningful relationships. Even our landscape, activities, dining and staff training revolve around these principles.